Bus in India has been submitted to the photo assignment ‘Exploring Community’ on Nat Geo. Scott Strazzante a staff photographer at the San Fransisco Chronicle is going to create a portfolio of communities from around the world, and he is looking forward to exploring them with us. Community is a group of people sharing particular characters or interests. For instance, Your Shot is National Geographic’s global photo community where we are all connected by our love of photography. Our unique community could be your neighbors, the people who ride the train with us or people in the street.s It could be people who have the same political leanings as us or similar hair color. As Scott is saying it: ”- Go beyond the obvious and surprise me with your interpretation of the concept. Equally important as the image is your caption. Take advantage of it to explain the who, what, where and why of your photograph of community. As a newspaper photographer, it is my responsibility to provide this information for the editors. Include quotes, anecdotes and background information about your image, giving written context on why your photograph represents your idea of community,” he says. A community is a small or large social unit a group of living things who have something in common, such as norms, religion, values or identity. Communities often share a sense of place that is situated in a given geographical area for instance a country, village, town or neighborhood or in virtual space through communication platforms. Durable relations that extend beyond immediate genealogical ties also define a sense of community. Researchers have not agreed on an exact definition, but the following may serve as a starting point. Neighborhood is generally defined spatially as a specific geographic area and functionally as a set of social networks. Neighborhoods, then, are the spatial units in which face-to-face social interactions occur, where the personal settings and situations where residents seek to realize common values, socialize youth, and maintain effective social control. Neighborhoods are typically generated by social interaction among people living near one another. In this sense they are local social units larger than households not directly under the control of city or state officials. In some pre-industrial urban traditions, basic municipal functions such as protection, social regulation of births and marriages, cleaning and upkeep are handled informally by neighborhoods and not by urban governments. 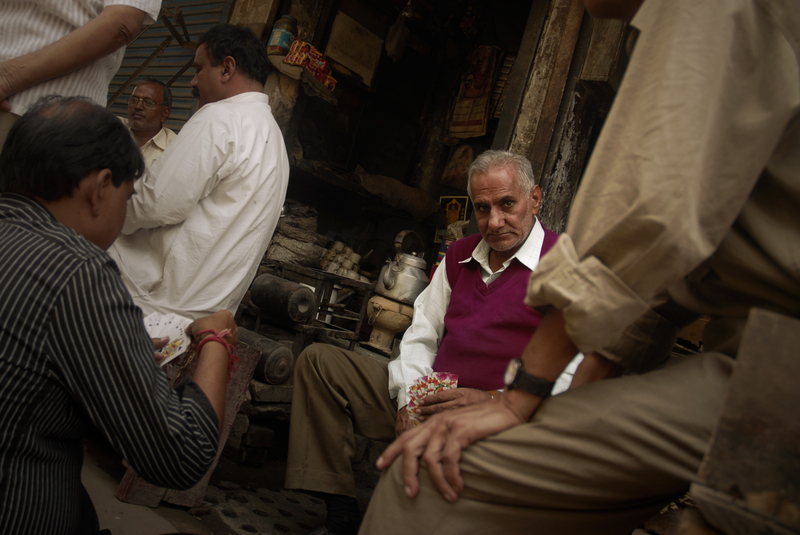 Delhi neighborhood has been submitted to ‘Exploring Community’ on Nat Geo as well. A neighborhood is a geographically localized community within a larger city, town, suburb or rural area. Neighborhoods are often social communities with considerable face-to-face interaction among members. Researchers have not agreed on an exact definition, but the following may serve as a starting point. Neighbourhood is generally defined spatially as a specific geographic area and functionally as a set of social networks. Neighborhoods, then, are the spatial units in which face-to-face social interactions occur and the personal settings and situations where residents seek to realize common values, socialize youth, and maintain effective social control. ”In this photo a neighborhood in Delhi has been photographed. A neighborhood is a geographically localized community within a larger city, town, suburb or rural area and are often social communities with considerable face-to-face interaction among members as in this card game in the street”, the photographer Kristian Bertel says. ”Community can mean many things. It can be the social activities that you do with your neighbors and friends, but it can also be the things that happen in daily life such as being together as bus passengers in an overcrowded bus in Delhi”, the photographer says again. Delhi Transport Corporation operates on many routes in Delhi and neighboring States. It has started a high capacity bus service on a few routes and work is in progress to develop more high capacity bus routes and these service uses buses with improved carrying capacity and better facilities like air-conditioning, less travel time, less congestion and more comfortable interiors.